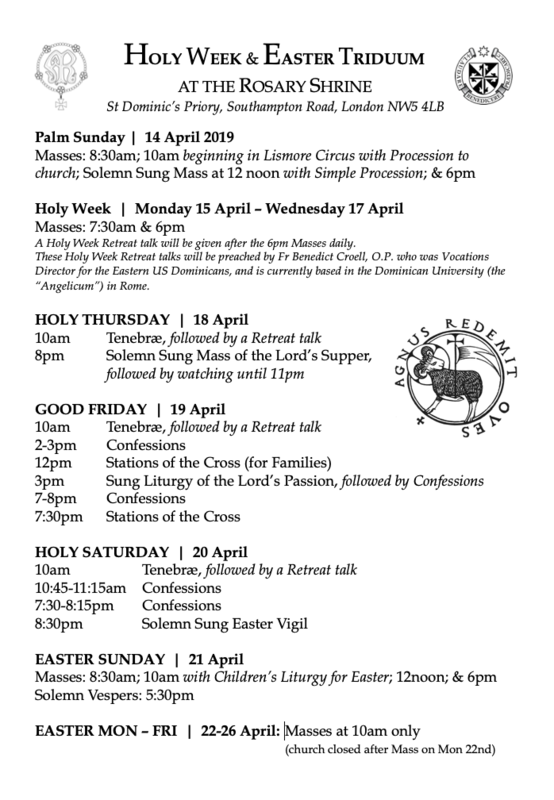 The schedule for Holy Week, the Easter Triduum and Easter Week is as follows; leaflets will be made available in church from this weekend. Please take note of the Holy Week Retreat, and the special liturgies for this most sacred time of the Church’s year. Do share the times with your friends and families, and join us in celebrating Christ’s victory over sin and death that he has won for us!